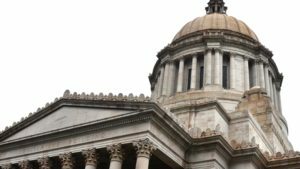 (Olympia) – A late bill introduced by the Senate (SSB5998) has raised concerns over a new Tiered Real Estate Excise Tax (REET) that lowers the threshold for reducing taxes. By comparison, the House version lowers the REET down to .9% for homes under $500,000. (Currently 1.28) Properties from $500,000 to $1.5 million the rate stays the same. While properties over $1.5 million would increase to a 2% rate, and over $5 million over 3%. 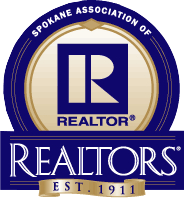 Otherwise, the session is moving favorably for Washington State REALTORS® with the Capital Gains Tax that appears to be dead, and an exemption for REALTORS® from this year’s Business and Occupation Tax (B&O). Both the House and the budget versions exclude REALTORS® from proposed increases in the State’s Business and Occupation Tax (B&O). The Governor’s Budget called for a 9% tax on individuals for the sale or exchange of capital assets they have held for more than one year. This proposal is currently dead. April 17th was the cutoff for bills to pass that were NOT related directly to the budget. While bills can sometimes be revived, at this point those not approved are considered to be dead this session. GMA Minimum Density – Increasing Residential Building Capacity (HB1923) passed both the House and the Senate. This offers tax incentives to encourage residential and mixed-use development in urban infill areas. This bill now offers incentives to cities in 10 separate areas that includes grant money for planning and exemptions from SEPA rules. The cost of these grants would be covered by an additional $2.50 mandatory document reporting fee. Residential Tenant Protection – Both the House and the Senate have passed (SSB 5600) the residential landlord-tenant act. This bill increases the “notice to vacate” provision from 3 days to 14. (HB 1440) requires landlords to give tenants 60 days’ written notice before they increase rent in most cases and passed and is on the Governor’s desk for action. Both the House and Senate passed a bill (HB 1462) that would require landlords to give tenants 120 days’ written notice if they plan to demolish, relocate, or change the premises they’re renting. Seller disclosure – One change to the Seller’s Disclosure Statement has passed both houses and has ben signed into law. The Working Forests notice (HB1011) that would be included with the right to farm disclosure goes into effect July 28, 2019. A smoke detector provision (SSB5284) has also passed. GMA Minimum Density – Increasing Residential Building Capacity (HB1923) passed both the House and the Senate. This offers tax incentives to encourage residential and mixed-use development in urban infill areas. Both versions are substantially different and the concurrence on these is ongoing. Short Plats – A measure that would allow a greater number of homes to be built as a short plat (5008) is dead. Accessory Dwellings – A Senate Bill (SSB5812) that would allow for accessory dwellings on a single housing lot has died. But ADU language has been added by amendment to the GMA Density bill (see above) that covers these additions. Low Income Housing – A Senate bill (SSB 5746) has passed that requires at least 13% of housing trust fund grants be used for those making below 80% of the area’s median family income. This bill became stuck in a House committee and is now dead. Affordable Rural Housing – A Senate bill has passed that would promote affordable housing in unincorporated areas of rural counties within urban growth areas (SSB 5739) is dead. Tiny Homes – A bill (SSB5383) that allows for “Tiny Homes” passed both the House and the Senate. HB 1406 – Local sales tax authority for affordable housing passed the House and is now in the Senate. HB 1798 – Lodging tax on short-terms generates local funding for workforce and affordable housing has passed.